See our JRSO Travel Plan here. Our Junior Road Safety Officers for session 2019-20 will soon be appointed. 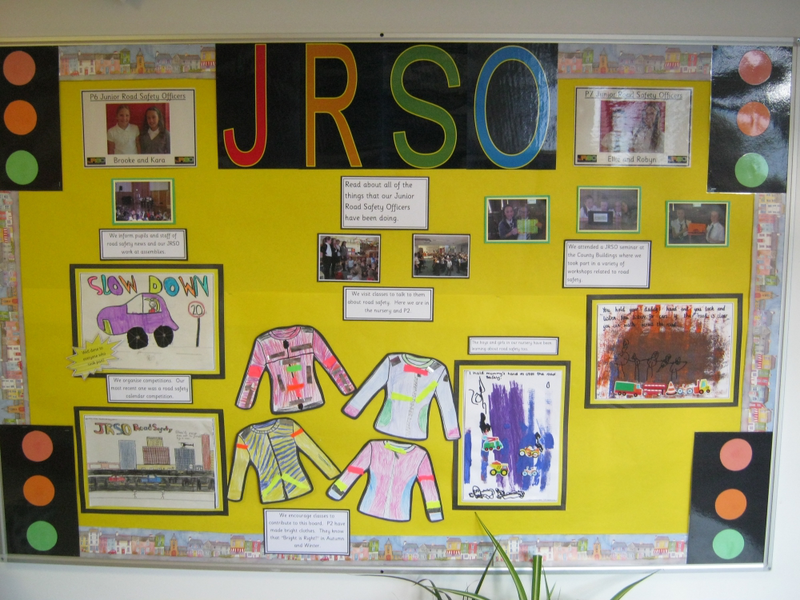 Along with Miss Hughes and Miss Campbell, they will work hard to promote road safety around our school. The group hold regular meetings to plan the work that we will carry out. This session we have visited classes to educate them on road safety matters such as crossing the road safely. We also organise competitions and we speak at assemblies to give important information and to remind all classes of road safety messages. We have a notice board within the school where we display these messages as well as work from different classes. In addition, we promote active travel to and from school and we award badges to P1-4 children who walk once a week. We are also keen to tell drivers to park sensibly and safely around our school.